MIFARE is an NXP Semiconductors-owned trademark, and is considered one of the most successful contactless technologies in the world. MIFARE cards are reportedly the most widely used contactless smartcard technology for smart card transactions. Since the launch of the MIFARE card, more than 500 million smart card chips and 5 million reader modules were sold. The beauty of the card is that the interface is an open platform for system developers, which implies that applications could be built under the industry norm. 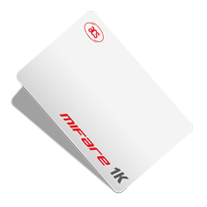 MIFARE interface platform consists of a few product lines, and the MIFARE 1k belongs to the MIFARE Classic family. The MIFARE 1k is fundamentally used for storing memories, yet a simple security mechanism divides the memories into segments. Therefore, this product family is ideal for high-volume transactions like transport ticketing, time and attendance solutions, car parking, and loyalty programs. In the year 2006, a Japanese high-end supermarket chain in Hong Kong decided to adopt MIFARE card with a contactless smart card readers for its customer loyalty program. The chain store is one of the largest companies of its kind in Hong Kong. It mainly sells gourmet items and groceries from across Europe and Asia. In this loyalty program, customers involved earn bonus points on their cards for every purchase they make and redeem them for cash coupons every quarter and every year. The bonus points can even be redeemed as free parking, free delivery and free magazines. Cardholders can store money into their card accounts and make cash-free purchases with additional rebate benefits. In other words, the more the cardholders purchase, the more benefits. Range of Operation: about 2.5"" to 3.9""